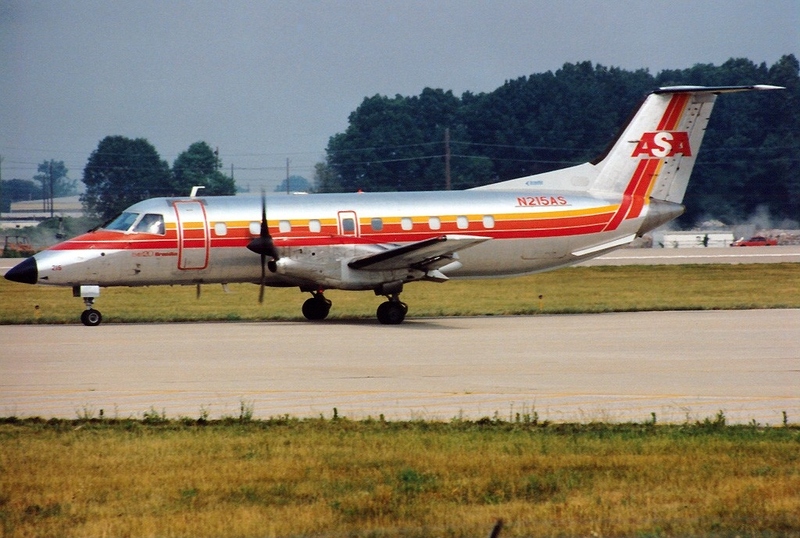 On 5 April 1991 Atlantic Southeast Airlines (ASA) Embraer EMB-120 Brasilia N270AS left Atlanta, Georgia at 13:47 Local Time for Brunswick, Georgia as Delta Connection Flight 2311. At 1448:13 the aircraft was cleared for a visual approach to Glynco Jetport in Brunswick, Georgia. The crew acknowledged the clearance and then made a routine call on the company frequency. There was no indication of any problems. Witnesses reported that all appeared normal as the aircraft entered a 180º turn from the base leg with about a 20º bank angle and a gradual descent rate. As the aircraft completed the turn it was seen to pitch up about 5º then roll left. It continued to roll to approximately 90º bank angle and pitched nose down. Witnesses reported a loud squeal or whine just prior to impact just over 1.5 nm from the threshold. All 23 occupants were killed. There was a greater than normal media interest in this accident because among the passengers who died were Texas Senator John Tower, his daughter Marian and NASA astronaut Manley “Sonny” Carter. In their final report the US National Transportation Safety Board Board (NTSB) concluded that the sound witnesses heard would be consistent with the sound of a propeller over-speed. The aircraft was not equipped with either a flight data recorder (FDR) or a cockpit voice recorded (CVR). These were not regulatory requirements at the time. After examination of the wreckage they concluded an uncommanded propeller pitch change had occurred on the number 1 (i.e. left hand) Hamilton Standard 14RF-9 propeller. Examinations of the left propeller components indicated a propeller blade angle of about 3º at impact. This position was based upon the position of the pitchlock acme screw. The left [Propeller Control Unit] PCU ballscrew position indicated that the PCU had commanded a blade angle of 79.2º. The discrepancy [in angle] is a strong indication that a disconnect between these two components occurred prior to impact and that the left propeller had achieved an uncommanded blade angle below the normal flight range. This propeller entered a low-pitch mode, giving extremely high drag, and leading to a loss of control. The propeller control system failure was due to the disengagement of the 36 inch (915mm) long oil transfer tube spline and the quill spline. Once disengaged, the propeller was free to change independent of PCU control. This disengagement occured after the harder, rougher surface of the titanium nitrided transfer tube acted “like a file”, causing abnormal wear on the softer quill spline. 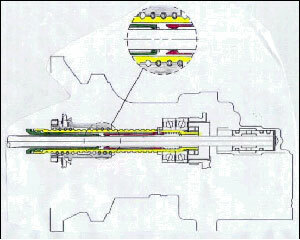 The failure on N270AS occurred within 800 hours of service. The first ever in-service anomalies with quills had been discovered only weeks before. Two were returned for examination after operators were unable to perform the routine feather/unfeather ground check. The first worn quill was discovered in January 1991, the second in mid-February 1991. The range of transfer tube surface finishes (Credit: via FAA). 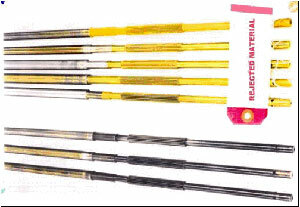 The spline surface of the titanium-nitrided transfer tube used on N270AS had a “bright gold” or “shiny” finish and such tubes were not acceptable for continued use. The design change paperwork was reviewed by FAA certification engineers and subsequently approved on January 6, 1988. However, the first titanium-nitrided transfer tubes did not enter service until July 1990. The failure mode and effects analysis of all the propeller components was completed by the manufacturer, and a report was submitted to the FAA during the original certification of the propeller system. The components were grouped into two failure categories. The first group included failures that had a predicted probability of occurrence of less than 10-9, and the second group included failures with a predicted probability of greater than 10-9. The transfer tube and quill interface were listed in the first group and were assigned as an “on condition” inspection item because of the perceived extremely remote possibility of failure and the lightly loaded application. For an “on condition” component, inspection is only required after a problem is found during service. Since the transfer tube and quill were considered structural parts having a remote possibility of failing, verification of the propeller system response following the failure of these components was not required. The transfer tube was also an item that had been inspected under the FAA Maintenance Review Board’s analytical sampling program of propeller components. Service history of the PCU quill prior to the introduction of the titanium-nitrided transfer tube indicted that quill spline wear was not a problem. Therefore, the FAA determined that there was no need to change the “on condition” inspection criteria for the transfer tube. 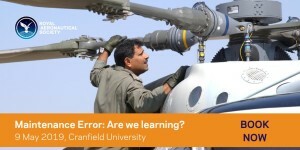 …provided an analysis during certification indicating that even in the event of a failure, the propeller would either drift into the feathered position or maintain the blade angle present when the failure occurred. 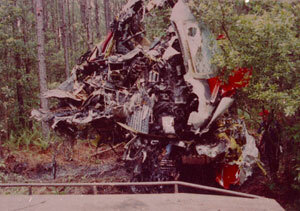 However, the accident involving flight 2311 and the subsequent investigation have determined that these assumptions, though originally supported by numerous engineering evaluations and manufacturing experience, are invalid and that there are single failure modes that could result in an uncommanded propeller blade angles below flight idle. 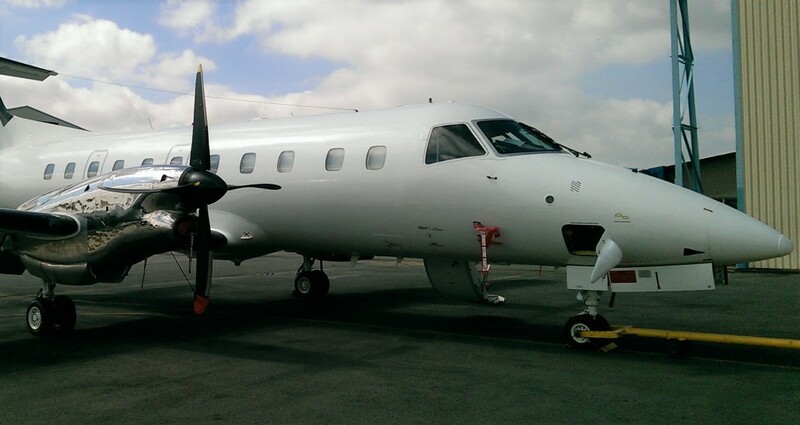 The National Transportation Safety Board determines that the probable cause of this accident was the loss of control in flight as a result of a malfunction of the left engine propeller control unit which allowed the propeller blade angles to go below the flight idle position. Contributing to the accident was the deficient design of the propeller control unit by Hamilton Standard and the approval of the design by the Federal Aviation Administration. The design did not correctly evaluate the failure mode that occurred during this flight, which resulted in an uncommanded and uncorrectable movement of the blades of the airplane’s left propeller below the flight idle position. 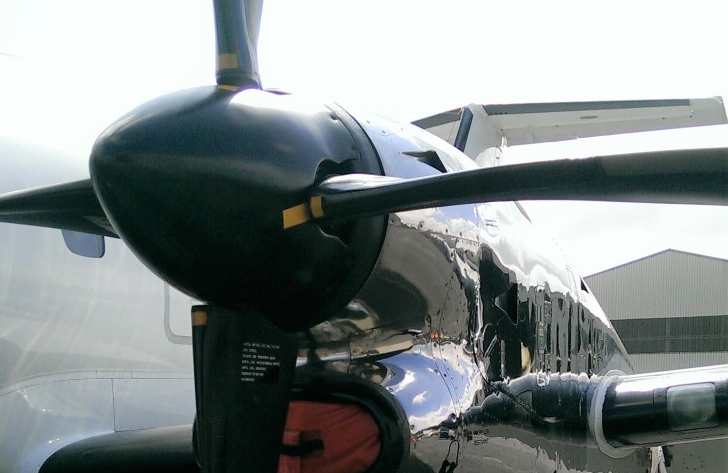 Conduct a certification review of the Hamilton Sundstrand 14RF propeller. Examine the certification basis of similar propellers. Establish an enhanced inspection schedule for the 14RF propeller and other propellers with a similar design. Issue an Air Carrier Operations Bulletin (ACOB) to clarify the reduced flight crew rest regulation. Recommendations to ASA and Regional Airline Association (RAA) covered flight crew rest periods. The recommendations on crew rest were raised because ASA, and other carriers, routinely (in about 60% of cases at ASA for example) used the provisions of 14 CFR Part 135.265(c) to roster with reduced rest periods, contrary to the intent of the regulation, which was only to give occasional scheduling flexibility. The purpose of the resulting Special Certification Review (SCR) was to assess potential deficiencies in the propeller and identify opportunities for improvements. The SCR utilised a panel of 5 FAA personnel from multiple offices. A key recommendation of the SCR report was to redesign the propeller system to include fail-safe features. 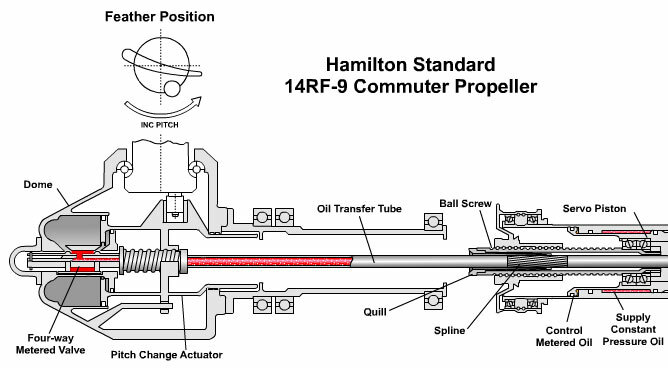 Consequently Hamilton Standard provided a redesign of the propeller system that incorporated a secondary quill that provided a fail-safe feature in the event of a primary quill failure. This provided a closing action to the requirement for repetitive inspections for quill tooth wear. A Service Bulletin provided instructions for installation of the secondary quill. Initiate rulemaking action to change FAR 35 [the US propeller certification standard] to require all propeller control systems to be fail-safe or damage tolerant. The damage for the damage tolerant design must be easily detected without disassembly before catastrophic failure. However, clearly there are important lessons in the system safety assessment of critical systems and validating the assumptions made. This accident also points to the need for speedy recognition and action in response to emerging anomalies in-service, that might give only brief warning before a catastrophic failure.